For more than two decades, Douglass A. Vance has dedicated his professional life to the H.N. and Frances C. Berger Foundation. He currently serves the Foundation as Vice President of its Real Estate Division. Vance is a highly accomplished visionary, with experience in all areas of profit and loss management and real estate acquisitions. His work as a licensed real estate agent in California allows him to utilize his expertise in the area of strategic positioning with regard to real estate assets and business planning for both start-up and growth organizations. As a results-oriented and decisive leader, Vance has achieved great success in new market identification, strategic thinking and problem solving. During his tenure with the Foundation, he has had a proven track record of increasing sales, growth and profitability. Before becoming Vice President of the Real Estate Division, Vance served on the Berger Foundation board as a Director. In 1993, Vance was hired as Vice President of Real Estate and became instrumental in the success of the Foundation’s real estate portfolio. He supervised the management company for 5,600 apartment units, along with a multitude of commercial and industrial passive investments that provided substantial income for the Foundation. Additionally, he participated in the acquisition of real estate, managed and reviewed appraisals, leases and liability insurance regarding real estate assets and handled profit and loss management. For more than 20 years before joining the Berger Foundation, Vance served as a California Licensed Contractor and President of J & D Excavating, Inc. In this capacity, he developed business plans, prepared sales and marketing materials, performed cost estimating for job bids and executed contracts and managed on-site teams from beginning through job completion. He also handled financial statements and other income-related responsibilities. 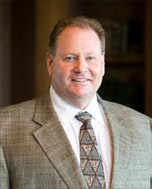 During his work with J & D Excavating, Inc., Vance worked in real estate development and investments, including project research, cost analysis, estimating project profitability, managing land acquisitions and directing capital improvements in residential, multi-family complexes, industrial and commercial projects. Vance proudly served his country as a United States Navy Seabee from 1970-1972. While serving in the construction based branch of the military, he completed tours of Vietnam and the Island of Guam. Vance has been married for more than 40 years, has three grown children and 10 grandchildren.